I think I might have already mentioned what a magical place California’s Lake Tahoe is for outdoor lovers. 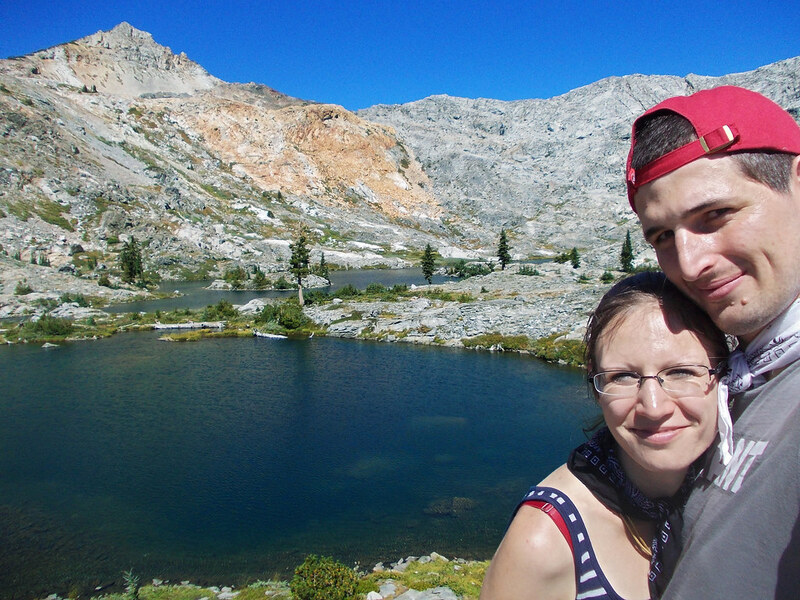 Well, not far from Tahoe there’s a designated wilderness area called Desolation of Wilderness. I think this name is kinda cool (maybe because it reminds me of The Desolation Of Smaug, the title of the second Hobbit movie?) and the place itself won’t disappoint either! First of all, have you ever heard of national wilderness areas in the US? Currently there’s more than 700 in the country and the main aim here is that, well, they should remain wild. It means that these are protected undeveloped land retaining their original character without permanent improvements or human habitation. What can you do in a wilderness area? A whole bunch of non-motorized recreation activities just like backpacking, hunting, fishing or horseback riding. “Leave No Trace” policy is especially important, you feel that you are a visitor in nature and you really are. Wilderness areas give great opportunity for solitude and recreation and they are backpackers’ favorite because of their beautiful multi-day hiking trails. 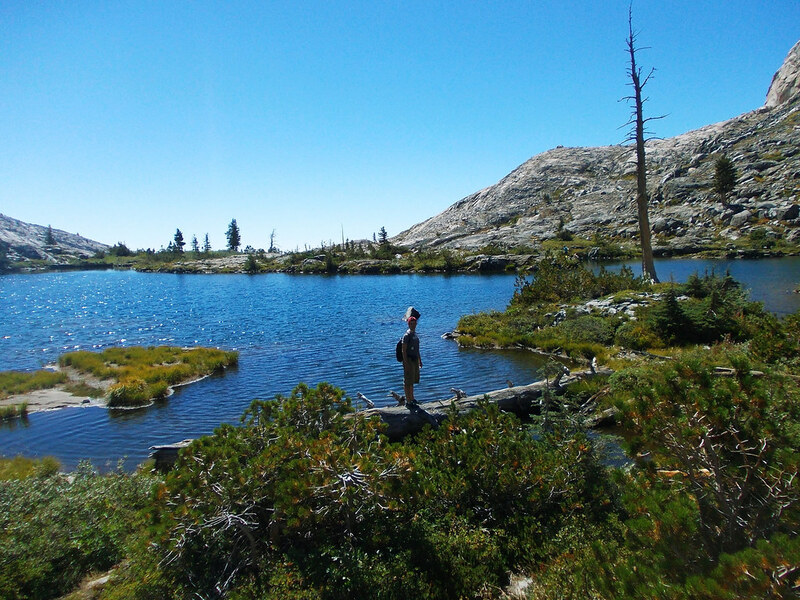 Twin Lakes Trail is one of the few day hikes in the Desolation of Wilderness. It’s a perfect and quite appealing introduction to the area and there’s a possibility that it will whet your appetite for more exploration. Perfectly clear alpine lakes reflecting the surrounding granite peaks as mirrors – and this is just the start, the first scene you will see when heading to the Twin Lakes Trailhead at the north side of Wrights Lake. Later you get out from the pine forest and the scene becomes wilder, pine trees slowly disappear and huge granite peaks impress hikers. 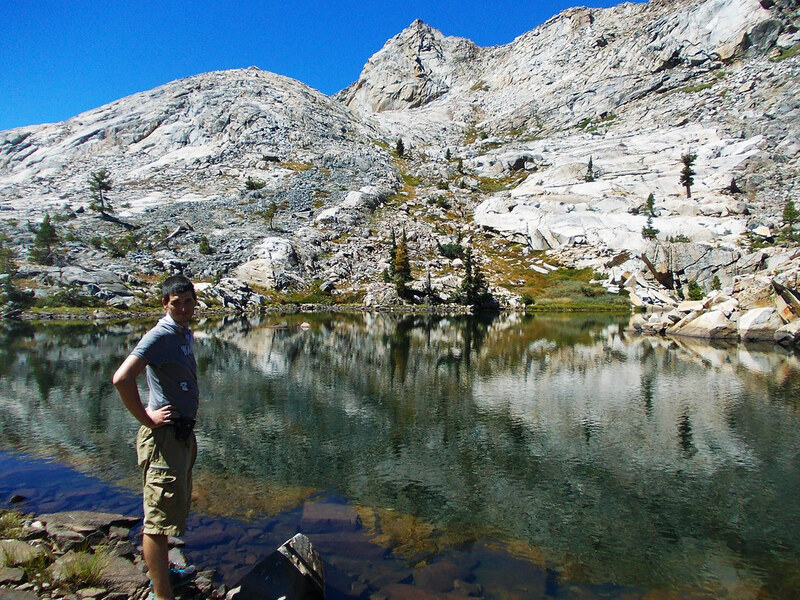 And the reward after the steep hike is two perfectly clear alpine lakes enclosed by white granite peaks. The two lakes are quite close to each other, they are on different sides of the same mountain ridge. After chilling out on the lakeshore and cooling down your feet in the ice cold water of the lakes, you can even venture a bit further if you still have some time and energy. We did and finally reached Island Lake, the most beautiful one of the 3 in our opinion. As its name indicates this lake has tons of tiny islands and inlets in it and we got a perfect view of the whole thing above when we climbed up to the top of one of the bigger cliffs on the shore. 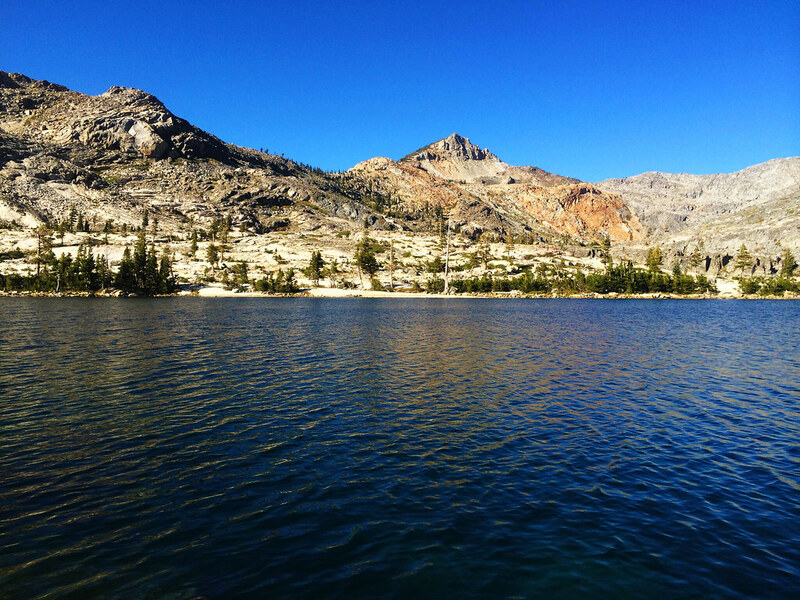 The official hiking season around Lake Tahoe lasts from late May until early September and the weather is usually sunny and hot (very hot) during the day in this period. There’s not much shade on this trail, so sunscreen and a cap will be your best friends. And water, lots of water! 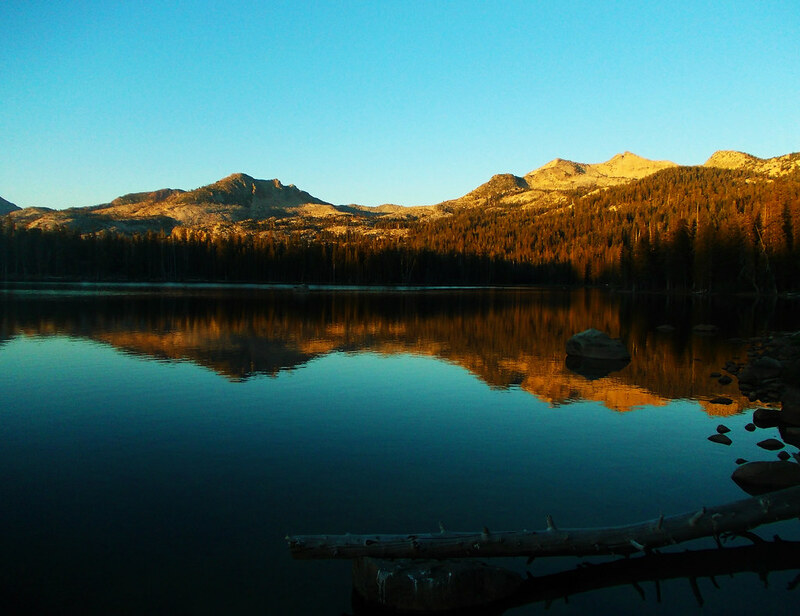 Of course, there’s no accommodation in the wilderness (other than wild camping – beware of the required permit though), but Wrights Lake Campground is right at the trailhead. South Lake Tahoe is also not so far if you prefer hostels/hotels. Just book your place in advance, because Lake Tahoe is popular! 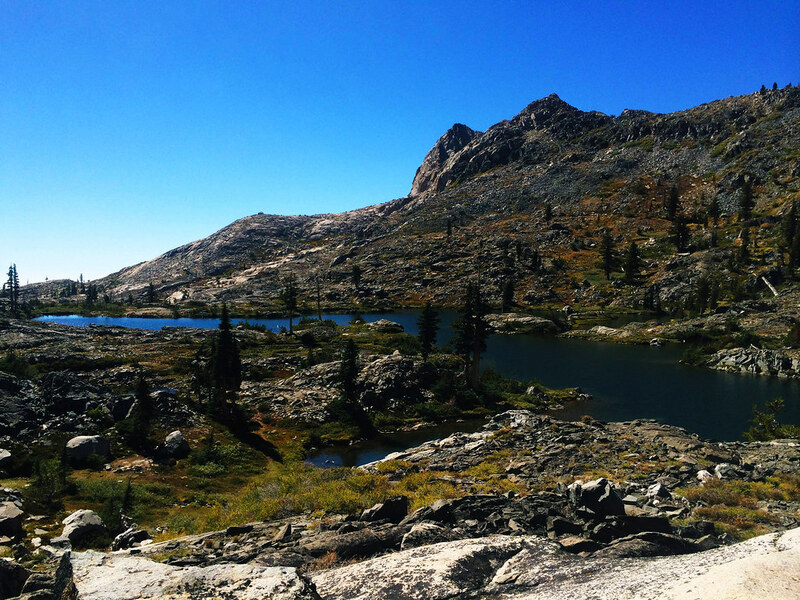 This post is part of a series about our favorite day hikes in the Sierra Nevada – check them out here! Have you been to any of the US wilderness areas? Which is your favorite? Next post Why Should You Visit Basel, Switzerland?